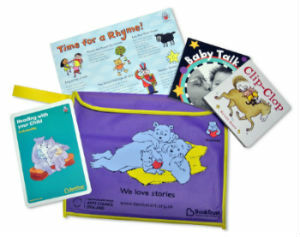 Bookstart is the national programme that aims to provide free packs of books for all babies and preschoolers. 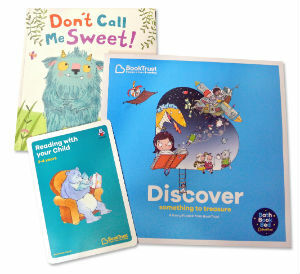 Each pack contains free books to share with your child, as well as helpful advice and other fun resources. This is how the scheme works in the London Borough of Richmond upon Thames. For babies aged 0 to 12 months. In Richmond these are given by the Health Visitor Team during the baby's first year. Two board books - perfect to enjoy with your baby. Babies Love Books - get top tips about sharing books and recommendations for more books to share. In Richmond most children will receive their Treasure Gift via their early years setting (for example pre-school playgroup or nursery). A picture book that's fun and rewarding to share with your preschooler. Visit the Bookstart website for more information. If you have any queries on how the scheme works in the London Borough of Richmond upon Thames, please contact Janice Pratt (Librarian) by phone on 020 8734 3328, or email j.pratt@richmond.gov.uk.